Your surgery was a success, and you’re on the road to recovery. There’s one unexpected glitch—your doctor says you have iron-deficiency anemia. That explains why you’re still feeling sluggish and tired, you say to yourself, but what’s the answer? 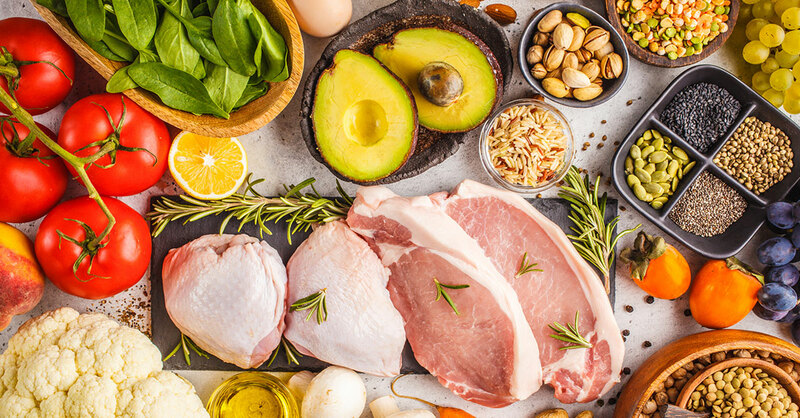 A few changes to your diet—including two that are not about consuming more iron—could be all you need to put your healing back on track. Getting your red blood cell count back to normal takes time—and after surgery, your body is busy recovering in many ways and will prioritize areas of greater importance. But you can help yourself along by eating certain foods. Your body uses iron, folic acid (also called folate) and vitamin B-12 to make red blood cells. Unless you have vitamin-deficiency anemia, you likely have a built-in reserve of vitamin B-12, so you won’t need to get extra when the anemia is due to post-op blood loss. But you will need a steady supply of iron and folic acid to help your body churn out red blood cells. There are two kinds of iron in food, heme and non-heme. Heme iron is found in only animal products—meat, poultry, fish and seafood—and is better absorbed than the non-heme iron in plant-based foods, such as grains, beans, vegetables, fruits, nuts and seeds. Meat, fish, seafood and poultry also contain non-heme iron. But—very important—for general health reasons and because many plant-based foods also supply folate, you want to get a mix, says Laura Gibofsky, RD, of the Hospital for Special Surgery in New York City. Important: Exactly how much iron you need depends on your unique situation, and you may need to supplement with iron in pill form as well as boosting the iron in your diet. Ask your doctor about that…and don’t exceed the amount of supplemental iron suggested by your doctor because too much can be toxic. Tip: To help your body better absorb the non-heme iron in plant-based foods, eat them along with a rich source of vitamin C such as an orange, tomato or broccoli. Having fiber-rich foods will help you avoid constipation, which can result if you need to supplement with iron pills. Avoid drinking milk, coffee or tea at mealtimes because certain components of those drinks—calcium in milk and polyphenols, phytates and, to a lesser exetent, caffeine in coffee and tea—interfere with iron absorption. And remember that while you are recovering and have post-op anemia, it makes perfect sense to conserve your energy and ask your family and friends for help with chores, errands and meals. Don’t be shy about that! Is Vaping OK Before Elective Surgery?